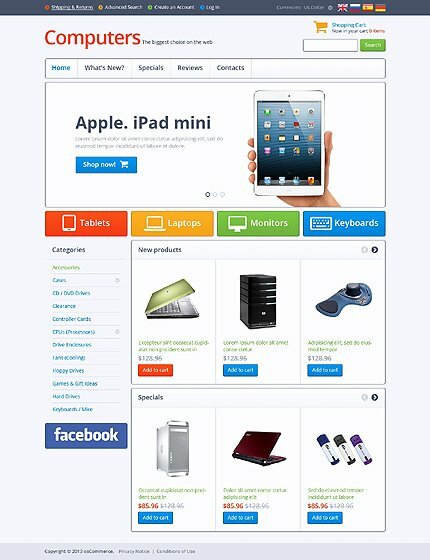 Computers: No matter if your site sells computers or computer accessories and peripherals you will surely want your website visitors to know that you are professional in the field. Template 45740 is a great choice to reflect your computer knowledge, products and/or services. Bonus with every purchase With each template purchase you get Free Web Design Elements: photos, fonts, icons, 3d models, sounds. Buy template 45740 from zeronese today and get access to the Free Clipart & Free Web Design Elements library.